WARNING: For those of you who picture me as the “ideal mom” with perfectly trained children and a house so immaculate that it makes Molly Maid jealous, STOP READING NOW. Put down the mouse and SLOWLY WALK AWAY from the computer. Pick up the latest copy of Martha Stewart Living and superimpose my head onto her body, especially if it’s in a photo where she’s making her own candles or arranging a stunning bouquet of flowers freshly picked from her own garden. For those of you who prefer to know the REAL ME, continue reading at your own risk . . .
How To Tell If You Have Boys Living in Your House. 1. Your house has been overrun by soldiers, knights, Star Wars characters, turtles with weapons, or basically anything that fights. You know for sure that you’ve got boys if the majority of these characters are missing limbs or are otherwise deformed. 2. Your mantel is tastefully decorated with an angel, antique books, and … a nut cup. 3. 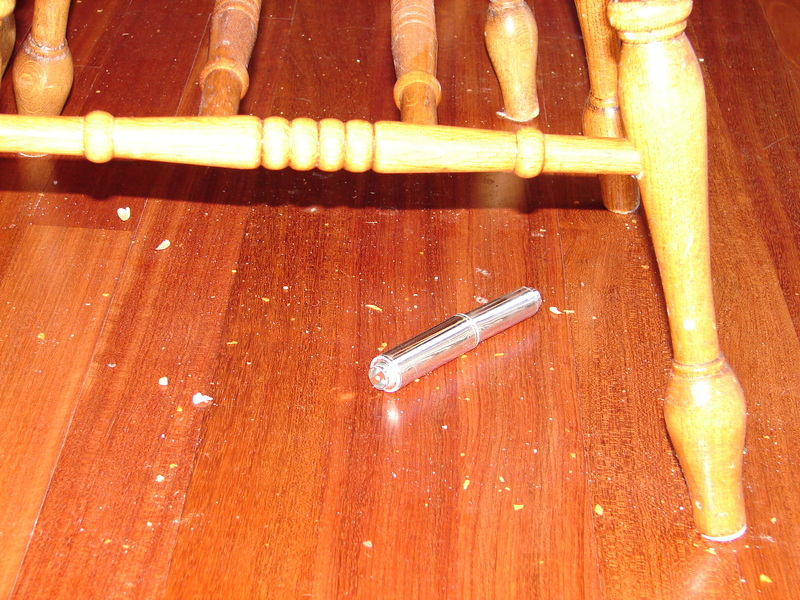 You find a toilet paper holder underneath your kitchen table. 4. 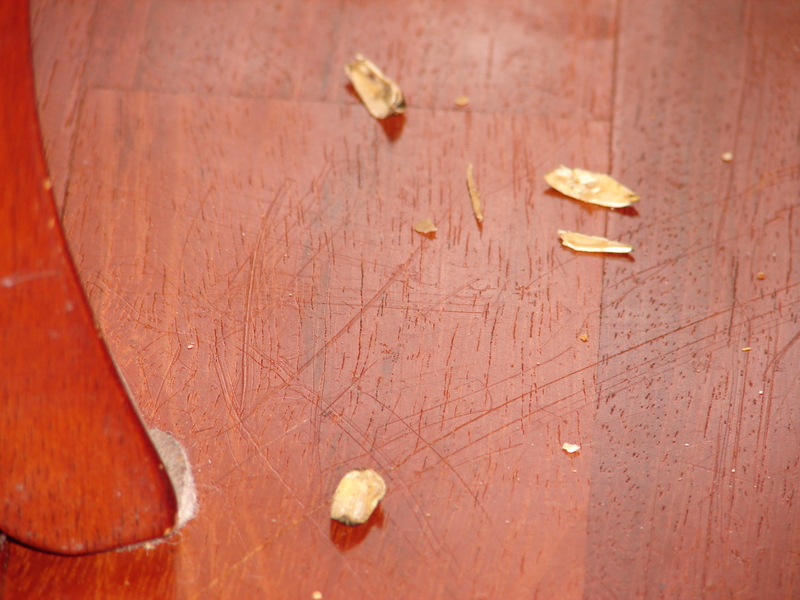 Sunflower seed shells mysteriously appear on your kitchen floor. 5. 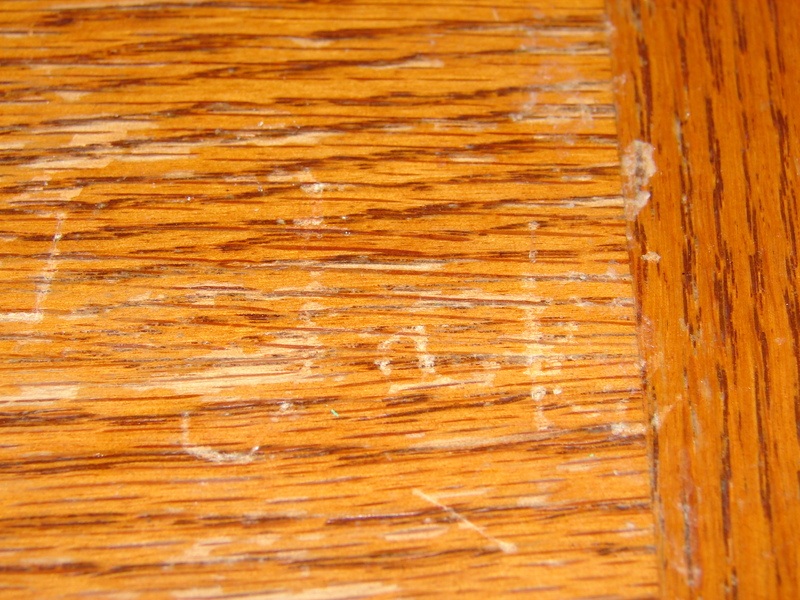 You find a name carved into your kitchen table. 6. 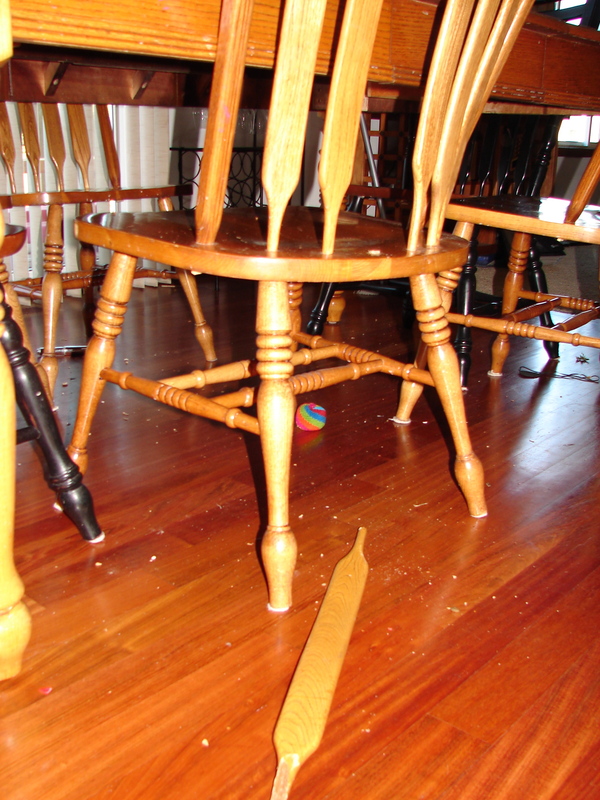 At least one of your kitchen chairs has been glued again . . . and again . . . and again . . .
7. Your dog’s brand-new L.L. 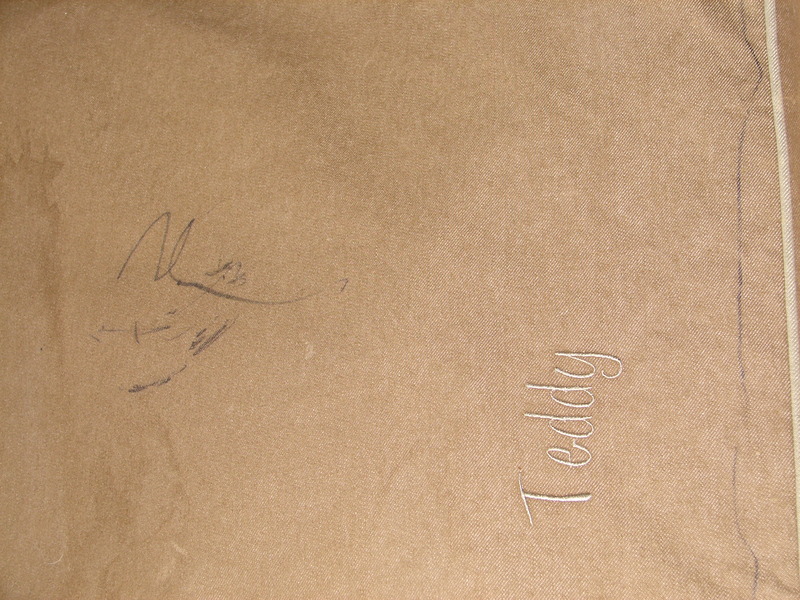 Bean personalized dog bed has been “decorated” with black permanent marker. 8. Your cupboard goes from full to looking like this approximately 30 minutes after you’ve returned from the grocery store. 9. 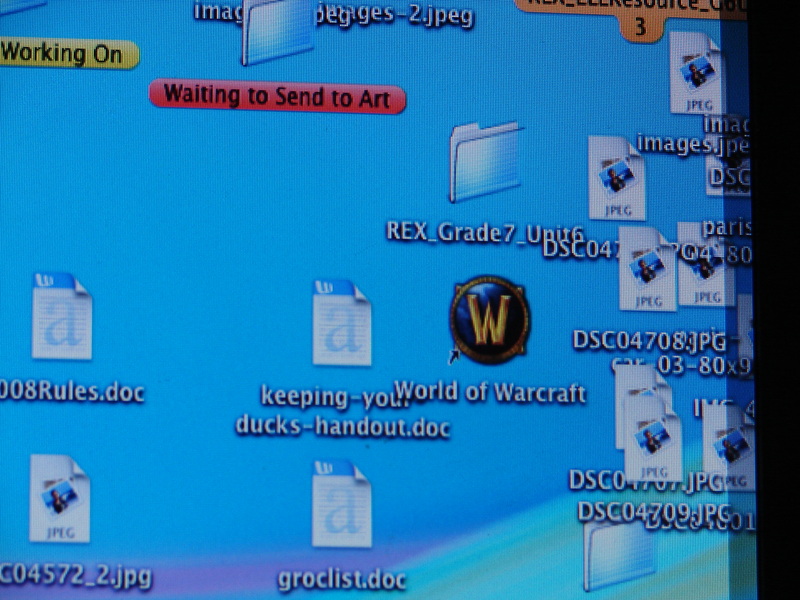 An icon for World of Warcraft somehow shows up on the desktop of your computer. 10. 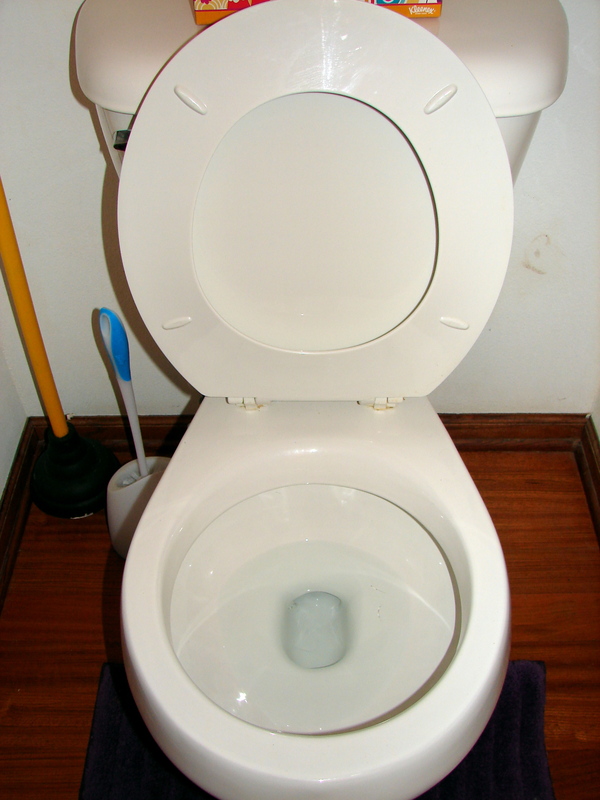 No matter how hard or how often you scrub, your bathroom reeks of urine. And even if you try to light a candle, it then just smells like baked apple pie and urine. Well, there you have it. If you read the signs and couldn’t relate to any of them, chances are you are boy-free in your house. BUT—if you found yourself identifying with the photos or descriptions, I hate to tell you this . . . but you’ve got boys. It’s best to face the facts now and learn to live with them. That was very eye opening, and informative. I am anxiously awaiting the day I find a nut cup on my mantel. We already suffer from empty-cupboard-itis with our boy who is merely 2. I worry about the state of our cupboard when he is old enough to reach it without taking the time & energy to pull a stool or chair to the counter and climb up before getting the food. When the food is easy to reach, I fear the rest of us will starve (but he will probably still be the skinniest because of the boy metabolism). I would like to add one more sign that you have a boy. Every curtain rod in your home is bent into a smiley face shape, and the brackets have ripped out, taking the drywall with it. This would be from attempting to climb the curtains, as you would a rope in gym class. Even though our rods hang precariously, and will probably fall on the head of the next non-relative visitor that is unlucky enough to step inside our home, we have no plans to fix them until the gender of our 3rd child is revealed, and all boys in the house are at least 14. Good luck to everyone else in the boy trenches!! 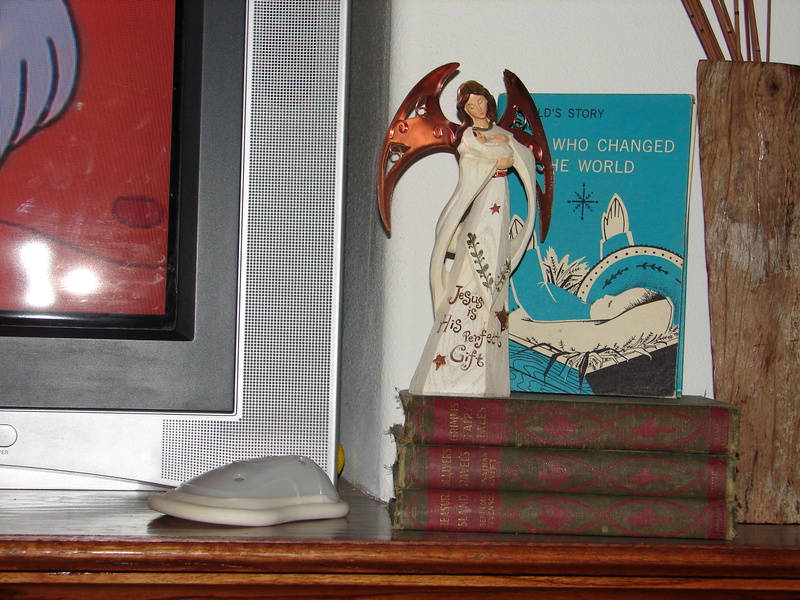 What the heck is that angel doing on the mantle? I think a better piece for the mantle is a decorative cup filled with cocktail nuts. Yup, thats what you get from me watching “Trading Spaces”. Again, it is one of those things I wish they would have told me bofore I became a parent: you will not be able to walk through the kitchen without kicking something or stepping on food. turkeypants: I also have one boy and I am also suffering from “smiley curtains”. art–the angel kind of detracts from the nut cup, doesn’t it? dr. sprinkler–cocktail nuts! Why hadn’t I thought of that? Mmmmm…..
1)Get a floor cleaning robot. Somedays, you may like the robot more than your spouse, however, so attempt this step of your plan ONLY if you have decent relations with your marital partner. 2)Get a dog, and only pick up food that the dog won’t eat. Again, this has its caveats. Dog isn’t as easy to take care of as robot. May help clean the floor, but also may leave behind hair and other surprises. Also may have epilepsy. 3)Lower your standards considerably, and drastically. Maybe the dog will eat more things than you think? It is sticky? But how sticky is it, and will the dog hair collect on it in a minute and render it no longer sticky? Would a child potentially eat it (then determine if this is a good, or bad thing). Art Vandelay-I am pretty sure that angel was planted. But, I am really intrigued by the beautiful wooden vase next to it. It appears to have charm that makes one forget that it is simply a hollowed piece of wood, and that it won’t stand up by itself. 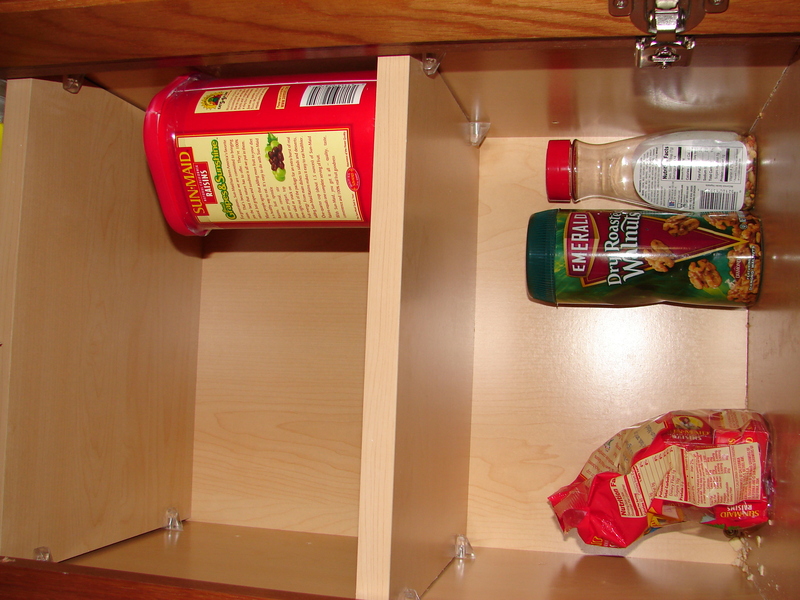 Also, I am really surprised that the salad toppings are left in the pantry. Have your children not realized the pleasures of eating salad toppings out of the jar, the way mine have? I have bought those before, but I don’t think they have ever made them to the top of a salad. I read today’s blog in stunned silence. I just…couldn’t believe… that you have the exact same household appliance decorating your living room as I have in mine!!! What are the odds? I do have to say that I never think to actually leave mine plugged in, however. It seems that over the years a stray toddler here or there has been launched into a tearful tirade over a sudden onset of Vacuum Cleaner Suction Surprise. But now, those toddlers are actual children and might perhaps mistake Vacuum Cleaner Suction Surprise for a game–like Accidental Cleaning or Chore-Ful O’ Fun! What a great idea! I do have to say that your warning did no good, however, because in life-as-I-know-it, this idea DOES make you Martha Stewart! I just want to know who the blog administrator is and why a blog was deleted? Does a blog administrator have to take the same masters’ path as, say, a school administrator? Could a school administrator move up and become a blog administrator….and where is that on the salary schedule? And if he/she becomes really good at deleting…could he/she find a job in a presidential administration ? Next Next post: Seriously, where was all this cool stuff when I was still having babies?! ?